Los Angeles-based Marmol Radziner understands the benefits of prefab construction. Here, we take a look at four noteworthy projects from the Dwell archives that were flawlessly executed by the collaborative architecture firm. 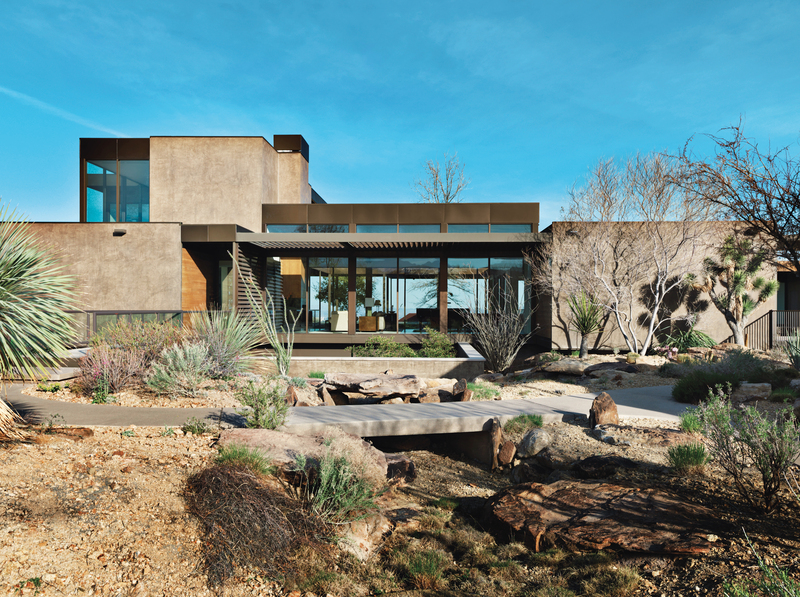 Jim Murren’s prefab house in Sin City, designed by Marmol Radziner, is as artful as it is art-filled, thanks to an asymmetrical arrangement of solids and voids. Photo by Jill Paider. Twenty-two 12-foot-wide steel-frame modules were combined to form nine to 14-foot-high rooms that were stacked and bolted together. Ten deck modules added more than 4,700 square feet of sheltered outdoor space. Photo by Jill Paider. With this elegant steel prototype, Marmol Radziner and Associates launch a new prefab venture with the goal of bringing their modern design sensibilities to a broader market. Photo by Daniel Hennessy. After months of arduous design and construction, Marmol and Becket are thrilled to escape Los Angeles for their idyllic desert retreat. Photo by Daniel Hennessy. The Burton Residence is comprised of ten recycled steel frame modules ranging in size from 25 feet and 1 inch by 8 feet and 9 inches to 48 feet and 9 inches by 8 feet and 9 inches. The modules were trucked to the site with all walls, appliances, fixtures, and cabinets already installed, then craned into place to form an L arrangement; bolted together; and finally welded to steel plates on the concrete block foundation. Photo by Dwight Eschliman. Amid the industrial expanse of Vernon, California, Marmol Radziner Prefab’s factory-built homes are pieced together in a process akin to the assembly lines made famous by Henry Ford. Wood cladding skins the facade of a completed Marmol Radziner Prefab home in Venice, California. Photo by Jill Paider. Image courtesy of Jill Paider .